Learn how to submit an opponent regardless of their size and strength. 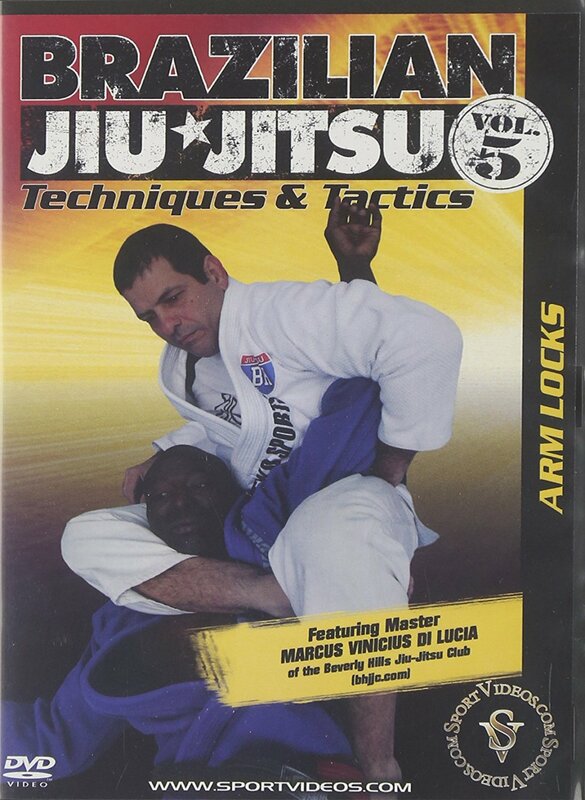 In this informative DVD, Master Marcus Vinicius Di Lucia demonstrates and explains the wide variety of arm locks used in Brazilian Jiu-Jitsu. Among the topics covered are: guard arm locks, side arm locks, mounted arm locks, back arm locks and turtle arm locks. Learning the proper method of applying and executing of these techniques will enable you to dominate your opponent! About the Coach: Marcus Vinicius Di Lucia started training in Judo at the age of five. He won several titles such as State, National and International Championships. At the age of 17, he started to train in Brazilian Jiu-Jitsu. Marcus received a black belt in Judo in 1986 from Master Alfredo Dornelles. He also received a black belt in Brazilian Jiu-Jitsu in 1992 from Grand Master Fransisco Mansur. He is presently a 4th Degree Black Belt in Brazilian Jiu-Jitsu and the owner of The Beverly Hills Jiu-Jitsu Club.